The obvious question is, how do we effectively protect ourselves? The flu vaccine is considered the best protection and everyone is advised to get their shot. However, the problem is that this year's flu shot is not living up to its promise. Medical authorities admit it is only 10-30% effective in preventing the flu. Hardly an encouraging statistic! Tamiflu is the other strategy recommended to help people once they have been diagnosed with the flu. Tamiflu is an antiviral medication that is supposed to prevent viruses from proliferating the body by blocking their release from already infected cells. It is the first line of treatment recommended for every one over the age of two weeks. But in addition to the known side-effects of nausea and vomiting, Tamiflu has particularly serious side-effect for some children. There have been numerous reports of delirium, hallucinations, nightmares, convulsions and encephalitis. The immune system is your body's natural defense system. It's an intricate network of cells, tissues, and organs that band together to defend your body against invaders. Those invaders include bacteria, viruses and mold, all with the potential to make you very sick. A weakened immune system is due to numerous issues including prolonged stress, lack of sleep, poor nutrition or an underlying health issue. When the immune system is unable to function optimally and perform its function as an effective surveillance system, all sorts of pathogens, including viruses, can gain the upper hand. Young children as well as the elderly, are especially vulnerable to compromised immunity. What is left out in the conversation about flu protection is the overwhelming evidence supporting the use of safe, natural approaches to optimize a healthy immune response. During the flu season (and before) it is essential to put into action a flu-proof plan to enhance your immune system! Ensuring that your immune system is in tip-top condition and ready to respond to any invading pathogen—be it a virus or bacteria—is the most important effective preventive flu strategy! For time immemorial, silver has been recognized as a powerful solution for successfully treating all types of infections both from viruses to bacteria. 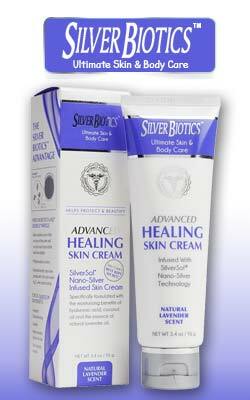 The father of modern medicine, Hippocrates swore by silver's ability to heal wounds and repair tissue. For thousands of years silver was recognized all over the world for its healing power again pathogens! While there are various kinds of silver products there is one superior silver technology that has been proven to be heads and shoulders above the rest. Thanks to 21st.century technology, a new patented form of silver, called SilverSol Technology® has enhanced silver's unique abilities to kill pathogens and accelerate wound healing. SilverSol Technology® is a powerful and effective form of silver found in the SilverSol® nano-silver products by American Biotech Labs. American Biotech Labs has developed one of the most effective nano-silver technologies in the world. They currently hold more than 400 independent studies and tests on their nano-silver products conducted by more than 60 private, US government, military and university labs. Their research has shown that their SilverSol Technology® successfully addresses a wide variety of infections including MRSA, VRE and malaria. It is also effectively against mold, including black mold. In addition to profoundly eliminating dangerous bacterial infections, the SilverSol® nano-silver products were proven to inactivate and kill the influenza HINI Bird flu, HIV and Hepatitis B. viral infections. This season's flu strain H3N2 is especially resistant to the flu vaccine. This is where SilverSol® nano-silver comes to the rescue! Impressive test results have demonstrated that the SilverSol® nano-silver products were able to in activate and kill the influenza A or H3N2 virus. An independent testing report was conducted to assess the SilverSol® Technology's ability to eliminate the very virulent H3N2 virus strain at a 10 PPM (parts per million) solution. 5 The SilverSol® nano-silver products are formulated with the 10 ppm solution. Within 2 hours there was a 68.4% kill rate and after 12 hours, it had killed 99% of the viruses in the test! This is really sensational news. Not only has SilverSol® nano-silver shown its effectiveness in killing the H3N2 virus, but it can do so quickly and without any side-effects whatsoever. There are very few anti-viral prescription drugs or even natural products that have demonstrated such outstanding results. The first step in an immune support program is to insure that the immune system is able to reduce the pathogenic load which includes invasion of viruses, bacteria and mold. Silver Biotics Immune Support, the liquid version, excels for immune support. Not only has it been proven to completely kill the H3N2 virus, it also has the ability to kill harmful bacteria. In fact, it has been shown to kill the deadly antibiotic resistant strain of Staph Aureus( MRSA ) while leaving beneficial bacteria unscathed. It can therefore help prevent and treat secondary bacterial infections which often company a flu diagnosis. It is recommended to use Silver Biotics Immune Support on a regular basis to optimize your immune system. The recommended maintenance dose is 1 tsp morning and night. Since Silver Biotics Immune Support is a clear, odorless, tasteless liquid without any side effects or build up in the tissues (it is impossible to get Argyria, i.e., blue man syndrome), it is totally safe for everyone, including chiclren and the elderly. If you want further protection, you take a therapeutic dose of 1 TBSP two or three times a day. This is also recommended if you find yourself coming down with the flu or an infection. Since viruses enter the body through the nose and mouth. Medical experts state that flu viruses are spread mainly by droplets when people with flu cough, sneeze or talk. These airborne droplets can land in the mouths or noses of people who are nearby or inhaled into the lungs. These droplets can also land on surfaces in the home, workplace or school. A protective strategy would be putting Silver Biotics Immune Support in a spray bottle and spraying down surfaces in your home or any public place. It can also be used as a nasal spray either preventively or if you have any kind of a sinusitis condition. SilverSol® nano-silver also is available as a colorless, tasteless and odorless gel, called Silver Biotics Armor Gel. It has the same powerful antiviral and antibiotic action. When used has a hand sanitizer, the gel's anti-viral protection has been tested to last for up four hours (up to three days on other parts of the body). Unlike commercial hand sanitizers which dry out your skin as well as quickly losing their effectiveness, the gentle ,safe and painless Silver Biotics Armor Gel is a powerful ally for flu protection for the entire family. Another way you can use the gel is dabbing a little in and around your nostrils throughout the day. This will be a protective barrier to kill any virus that you may be exposed to. In case of a strep throat, sore throat or laryngitis, the Silver Biotics®TM Silver Lozenges formulated with SilverSol® liquid and Manuka honey are a powerful protector and healer. The addition of Manuka honey with its powerful antiviral and antibiotic properties, make for a dynamic duo. Silver Biotics®TM Silver Lozenges are a great tasting addition to your antiviral and antibacterial protocol. The SilverSol Technology® range of products are available from most health food stores, drug store chains, as well as online. It's always a good idea to keep a good supply of their products on hand!! If you want to enhance your flu fighting protocol, you can also include Vitamin D (10 - 30,000 IU daily during flu season), Vitamin C (1000 mg 3-4x daily), probiotics and the homeopathic Oscillo. Always put your flu fighting program into action at the very first sign of something brewing. The sooner you take action, the greater the chance your can nip the flu in the bud. There is no doubt this flu season has been a tough one for so many people. It's a blessing to know the proven flu fighting champions Silver Biotics Immune Support, Silver Biotics Silver Gel, and Silver Biotics Silver Lozenges provide a truly safe and effective strategy to not only enhance your immune system but also provide a powerful flu treatment. http://abcnews.go.com/Health/16-us-children-died-flu-week-bringing-total/story?id=52795400 acknowledged as being only 10-30% effective against Influenza A.